500 Chip Tray is another kind of Black plastic chip tray that is used to transport chips from one table to another table, or as output in reverse to install facilities. 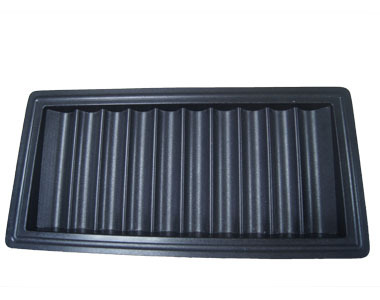 Since it is made of ABS plastic, this kind of chip tray is extremely durable. It’s a very good item for installing a secret scanning camera. This 500- Chip Tray can make counting, stacking, and moving the chips faster and easier. It can hold as many as 500 chips, 50 in 10 rows. To meet different requirements of our customers, we can make the distance between the marked cards and this Chip Tray Scanning Camera 10-20cm, 20-30cm and 30-40cm. Please confirm the distance you need before making an order.